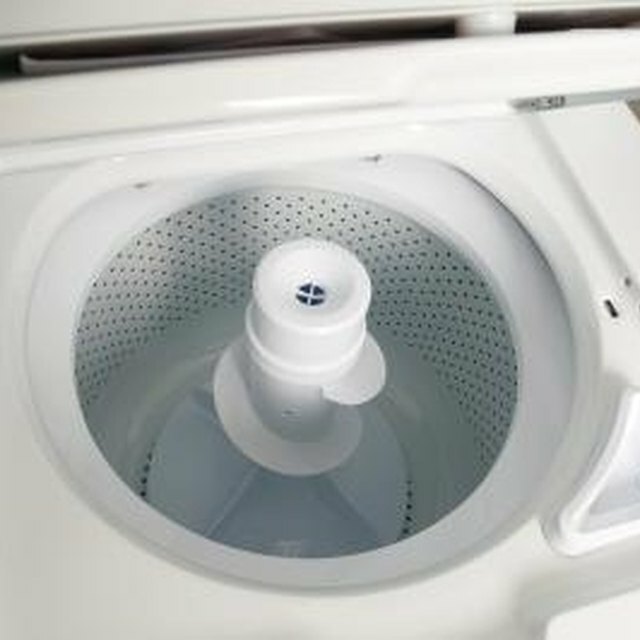 In top-loading washing machines, a central plastic or rubber-coated post is mounted in the center of the tub and is the chief agitating device during the wash and rinse cycles. This central column is also designed to hold and dispense laundry detergent in some models. An electrical motor connected to a gearbox is attached to the underside of the central column. It has several programmed movements to agitate the clothes, depending on the chosen wash cycle, either a to-and-fro motion of varying speed or unidirectional spinning at various speeds for rinsing. In newer front-loading washing machines there is no central post or agitator. To replace the central agitator, between three and six wide plastic or rubber fins line the interior of the tub and serve to agitate the clothing in an oscillating motion in both washing and rinse cycles and then a unidirectional spin dry cycle much like a top-loading machine.